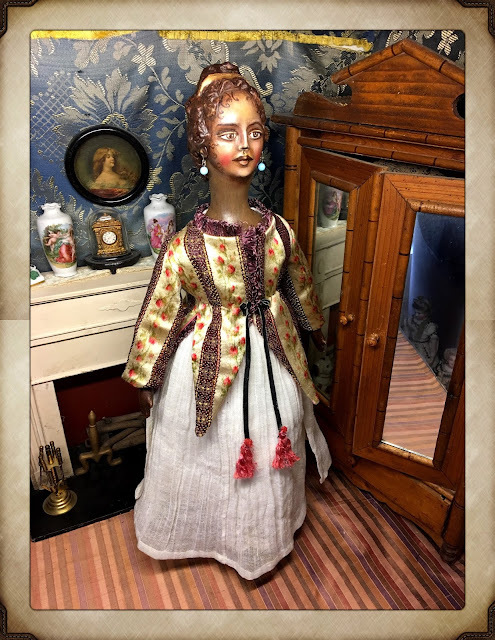 Missouri Homestead Dolls: Presenting "Grace, Princess of the Moors"
Presenting "Grace, Princess of the Moors"
Presenting "Grace, Princess of the Moors". 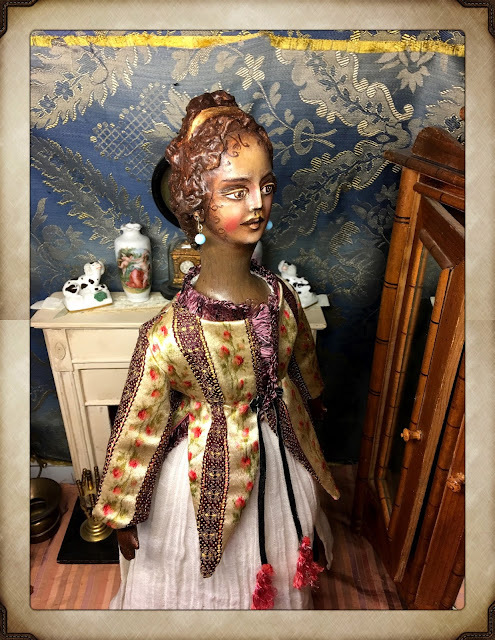 I have always loved the antique dolls of wood, papier-mache, and even cloth produced in the nineteenth century in Germany with the characteristics known by their place-name, generically called "Grodnertal" dolls. My interpretation has a sculpted face and hair over a cloth body. 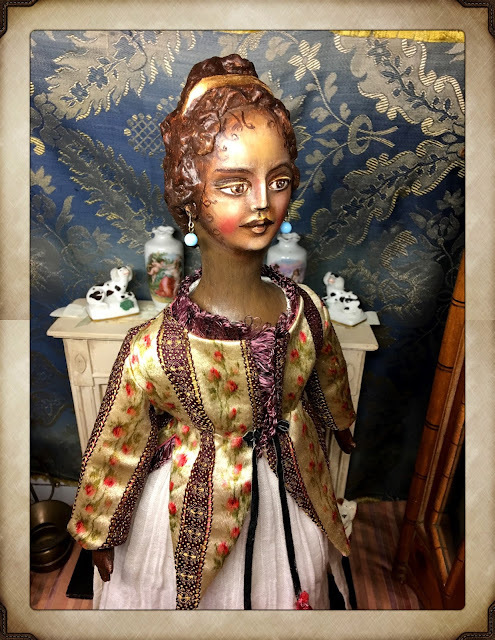 She stands a grand 21" tall and wears a sculpted hair comb in her hair. 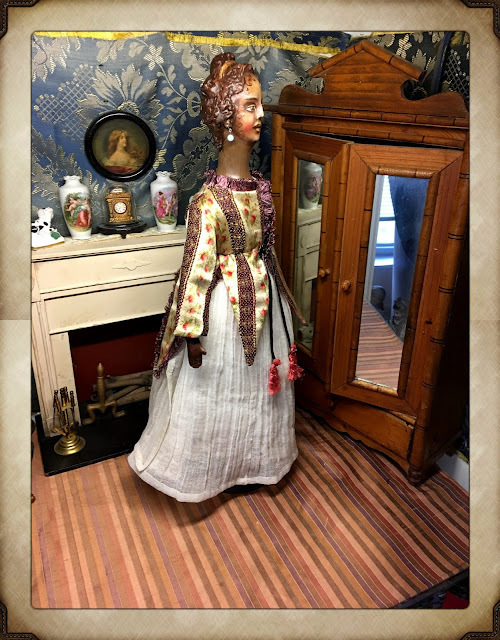 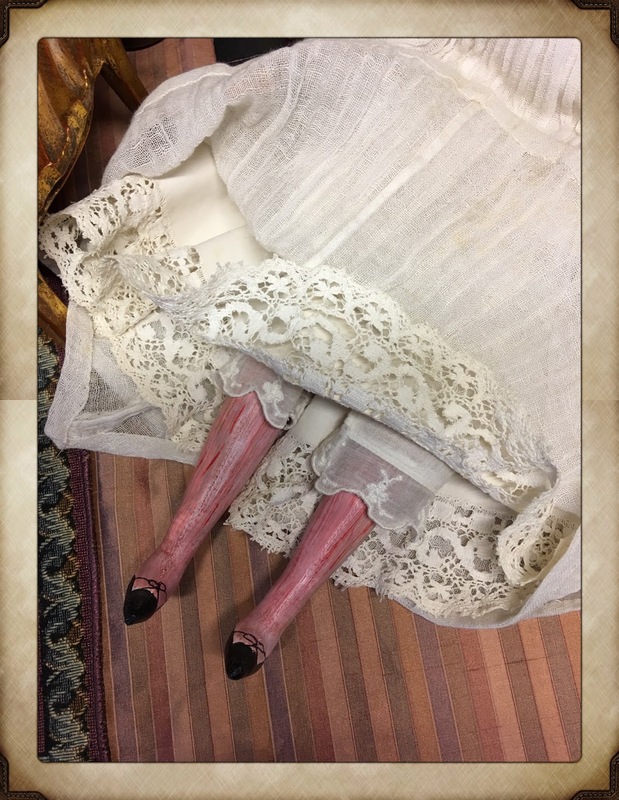 Having researched clothing styles of these dolls, as well as what women of the time were wearing, Grace wears an underdress of sheer antique white cotton cloth, which was once part of an adult woman's costume. 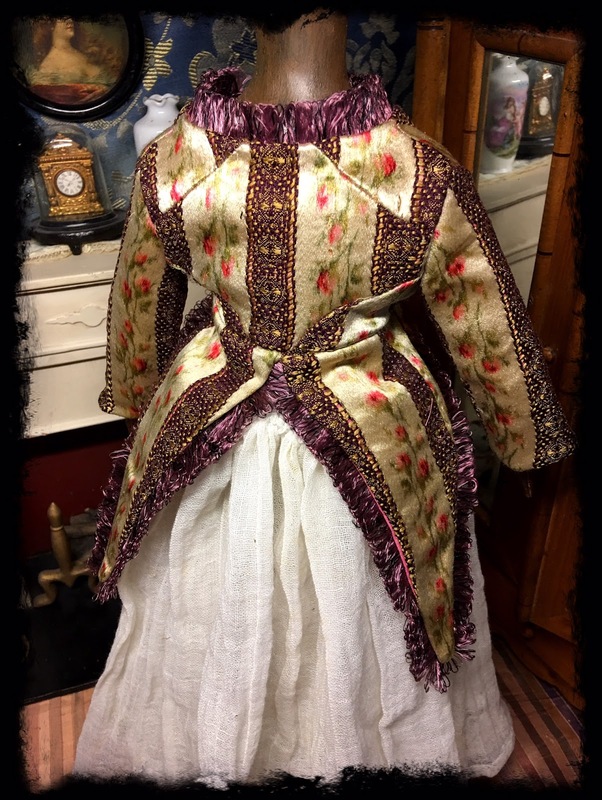 Many of the fabrics of the era were sheer, which meant that various styles of jackets were worn for warmth. 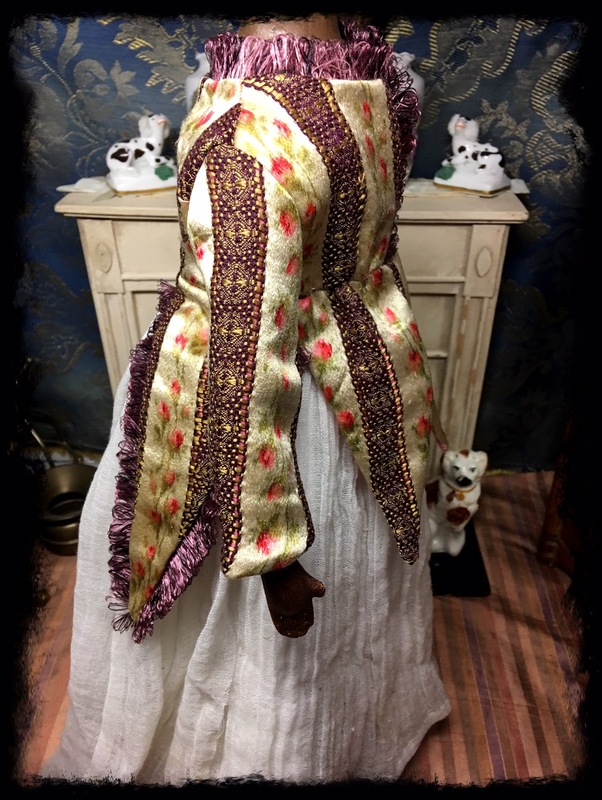 Grace was given a jacket inspired by an 1809 French fashion costume plate; this jacket was made from wonderful and rare antique silk brocade from the 1870's. 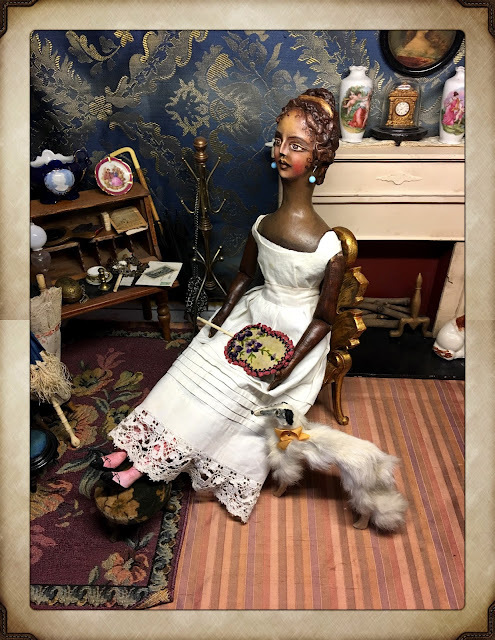 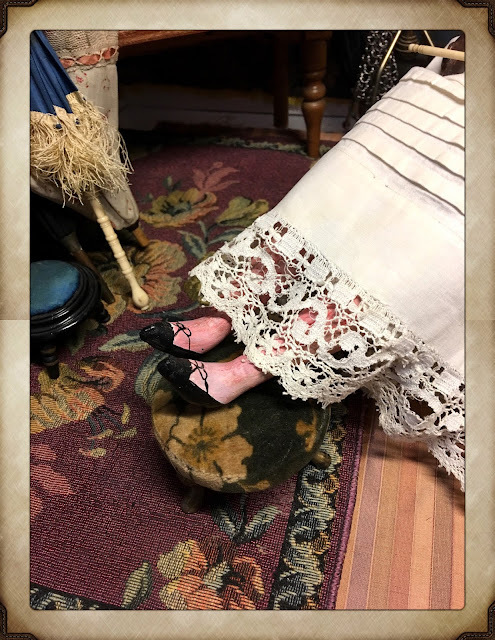 There are many small details that Grace was given including her antique earrings and her painted slippers......she is seen here posed in some of my doll scenes; while she is lovely there, I am hoping that you can see how lovely she would look in your own.